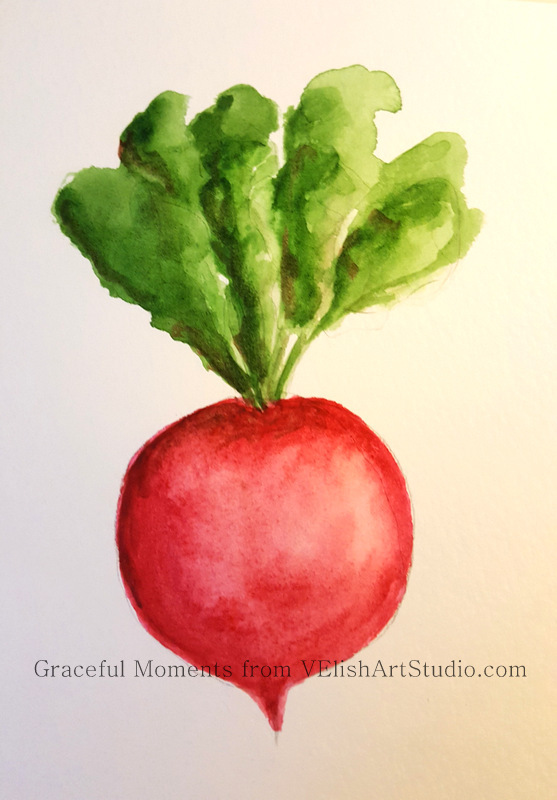 Moved into the world of food today with my painting challenge. This five-minute radish was quick and easy. Will be out and about some today so perhaps inspiration from a different direction will present itself. I like this painting-wouldn't it be sweet printed on a kitchen towel?? Thank you, Debra. Yes, I think it would be sweet!